Syos mouthpieces feel very comfortable, have tasty colors, and are better for health. The best option for me so far! For years, Tivon Pennicott has been transporting audiences and listeners to a higher level of consciousness. 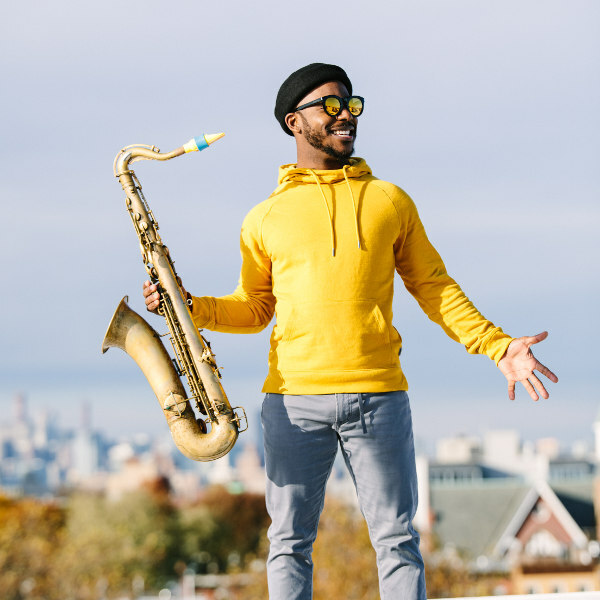 The highly sought saxophone player, composer and multi-instrumentalist is a three-time GRAMMY Award winner, appearing on Esperanza Spalding’s disruptive recording Radio Music Society (Heads Up International, 2012), and Gregory Porter’s Liquid Spirit (Blue Note, 2013) and Take Me to the Alley (Blue Note, 2017) . He has collaborated with such visionaries as Roy Hargrove and his RH Factor project, and Ari Hoenig as a core member of his band and key player on The Pauper & the Magician (AH-HA, 2016) and NY Standard (Fresh Sound Records, 2018). After having recorded with Kenny Burrell for his 2010 release Be Yourself on High Note Records, Pennicott continues to enjoy a decade- long association with the prolific guitarist and his Jazz Heritage All Stars. Touring the world with Porter, Pennicott has performed at iconic venues, including The Royal Albert Hall in London, the Berliner Philharmonie in Germany and Carnegie Hall in New York. 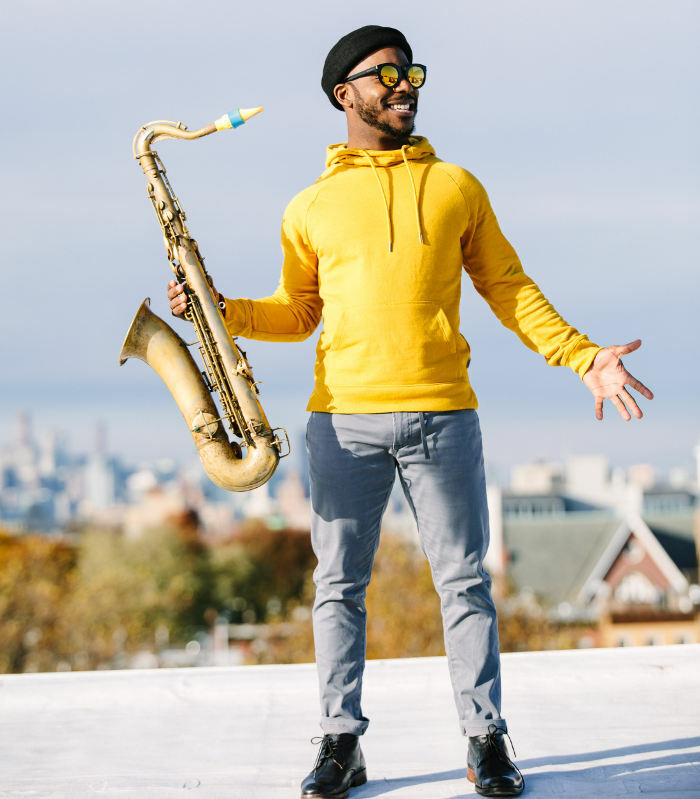 On screen, he has become a fixture on “The Late Show with Stephen Colbert” as a regular member of the Stay Human Band with Jon Batiste, an artist with whom he has played a weeklong engagement at The Village Vanguard. A Georgia native living in New York City, Pennicott earned his Bachelor of Arts in Music from the Frost School of Music at the University of Miami. As a player, Pennicott expresses an evolving sound—the result of a soulful and sophisticated foundation for groove he honed in the church and through his Jamaican heritage, and a penchant for harmonic exploration that reflects the depth of his ear. Strong intention and receptive impulses that allow Pennicott to serve every situation—from Ari Hoenig’s rhythmic labyrinths to Al Foster’s resonating soundscapes— pervade his original compositions, as well. While he has played an elemental role in advancing and transforming sounds of many innovative artists, Pennicott’s work as a leader is only beginning. In 2014, Pennicott released his debut recording Lover of Nature on New Phrase Records, a project that features equally curious musical minds: Mike Battaglia, Spencer Murphy and Kenneth Salters. As his career continues its upward trajectory, Pennicott is poised to release his sophomore recording in the fall of 2019 and embark on his first extended tour as a leader, hitting clubs and venues from coast to coast. Stay tuned.